Planning an event can be a challenge, but it can also be highly rewarding when your event goes off without a hitch. How you plan your event depends greatly on what type of event you are having because, although there are some similarities between events like school events, corporate events, fundraisers, and even celebrations of life, there are inherently numerous differences between them. What type of food you serve, what decorations you will have, and how you allot the time will vary depending on the type of event you are planning. 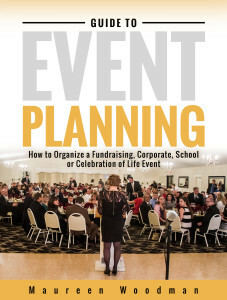 In this e-book, you will learn more about how to plan these particular types of events, and also about event planning as a whole. These skills will help you now and in the future, any time you need to put together the perfect event for family, friends, or co-workers.